Sarita Trujillo has been dancing since the age of three and it has always been her number one passion and creative outlet. Sarita has won several titles and awards,and has competed at various competitions and showcases. Her dance styles include jazz, ballet, tap, lyrical, and hip hop. She began teaching dance and choreographing at the age of 14. At CSUEB, she received a major in kinesiology and a minor in dance. This led her to begin teaching physical education at the middle school level, which she has been doing for over ten years. In college, Sarita continued to dance under the direction of the amazing Allan Frias in a hip hop company called Mind Over Matter. Through this, she was able to perform all over the Bay Area and beyond. In 2011, Sarita and Alicia made the decision to open up their own dance studio. They wanted to create a space that gave students a high level of dance education and technique as well as a safe and positive environment. They wanted kids of all ages and abilities to shine and be able to perform. Sarita could not be more proud of the staff and students of Trudance. It has truly been a dream come Tru! 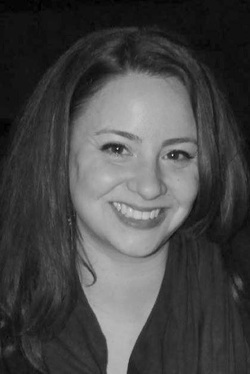 Co owner/ director Alicia Miranda began dancing at age four. A very shy little girl, her mom enrolled her in classes in hopes that it may help her develop confidence. Not only did she gain that confidence, but also a life-long love of dance. She began teaching at fourteen, and continued through college and adulthood, only taking a break after having two little girls. During her dance career, she performed across the country and internationally, earning numerous national awards and scholarships. Her choreography has won several awards, including overall national champion, and her dancers have competed nationally at the highest level. 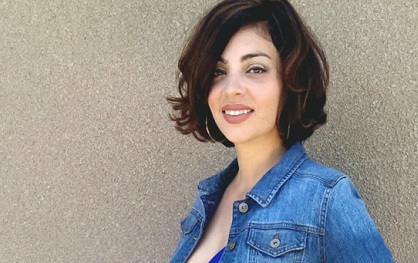 In addition to her work at TruDance, Alicia teaches World History and Ethnic Studies at the high school level in Fremont. As a mother, teacher, and dancer, she brings a unique perspective to the dance world. It is her mission to provide excellent training in a positive yet disciplined environment. Michelle Griffith has been dancing for over 20 years and teaching for over 10. During her years in dance, she was taught by TruDance owners Sarita and Alicia. She has won numerous awards while dancing competitively and has used that experience to garner a minor in Dance (along with a B.A. in Child and Adolescent Development) from SJSU. Michelle's expertise lies in ballet, jazz, tap, contemporary and lyrical dance styles and assists in "cleaning" TruDance Company's choreography. Norlyn Asprec is a Bay Area native and began her love for dance at the age of 4. Norlyn is trained in ballet, lyrical and jazz and performed in various competitions and productions across the country. In 2012, she received her M.A. in Creative Arts Therapy and Counseling specializing in Dance/Movement Therapy from Drexel University in Philadelphia. Norlyn is always seeking new dance styles to expand her dance repertoire. She believes dancing not only offers health benefits, but is a wonderful way to instill confidence and creativity. 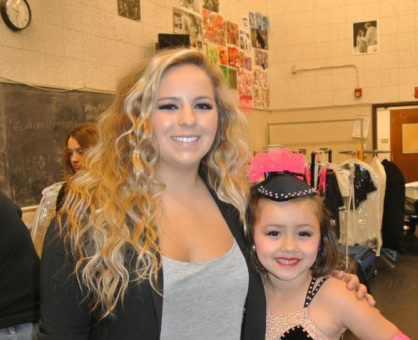 Norlyn enjoys helping the youngest dancer develop their passion for dance and is honored to be a part of the TruDance family. Candy Ramírez recently moved to the United States from Spain, where she graduated with honors at the Alicia Alonso Institute of Dance of the Rey Juan Carlos University in Madrid, in partnership with the Cuban National Ballet. There, she graduated from a Master of Fine Arts (MFA) in Performing Arts in 2010, a Bachelor of Fine Arts (BFA) in Pedagogy of Classical Dance in 2010 and a BFA in Choreography and Interpretation of Classical and Contemporary Dance in 2008. During that time she was taught by a panel of renowned international dancers such as maître Loipa Araujo, former Cuban National Ballet jewel and current Artistic Director of the English National Ballet and maître Lienz Chang, main dancer of the Cuban National Ballet. Also, she received several scholarships to attend and participate in international workshops and courses in inspiring environments such as Victor Ullate´s and Nacho Duato´s Ballets, which also contributed to her interest in pursuing a career in performing and teaching classical and contemporary dance. As part of her classical and contemporary dance performing experience, Candy has been a dancer the Young Ballet of Madrid and other dancing companies. Candy has been teaching dance ever since she graduated from college. She has taught all ballet and contemporary dance levels in different schools in Spain, where she put into practice her natural teaching skills. She has been recognized for obtaining great results instructing highly talented and promising young ballet dancers, contributing to developing their professional careers. Candy was promoted as the artistic director of the Marcelo Gomez Matias foundation in Avila, Spain, a position she held until she came to the US. Candy is really glad to join the Trudance family and participate in this inspiring adventure.